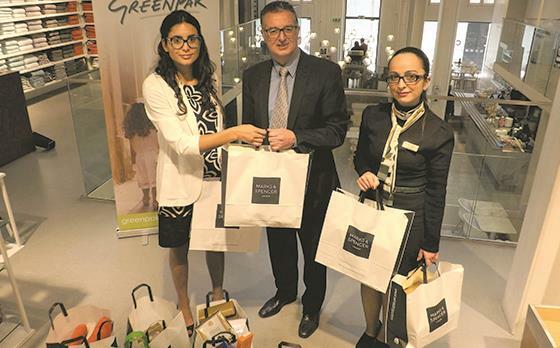 Marks & Spencer, the high-quality retailer of clothing, home, beauty and food products with outlets in Valletta, Sliema, St Julians and Hamrun, is marking the 10th Anniversary since it participated in GreenPak’s “Committed to Recycle” initiative. The ‘Committed to Recycle’ mark is given to companies that are corporately committed towards a better environment and to their customers. “The commitments M&S Malta makes ensure that we make a positive difference, whether it’s sourcing responsibly, conserving energy, reducing waste or supporting the communities we serve. According to Plan A launched in 2007, which is Marks & Spencer’s business plan for today’s and tomorrow’s sustainable retail challenges, we believe we can make a difference by leading the way on truly sustainable change. The plan is focused on customer, employee and supplier engagement and includes commitments that tackle issues such as climate change, waste, raw materials, health and being a fair partner,” said Erika Sammut, Brand Manager at Marks & Spencer. “Using the GreenPak ‘Committed to Recycle’ seal for the past 10 years is a testimony of our efforts to reduce our environmental impact even here in Malta, and serves as a tangible sign of respect towards the environment and the Maltese community,” said Ms Sammut. To mark this anniversary, the company is offering a selection of Marks & Spencer products for the ‘Irriċikla u Irbaħ ma’ GreenPak’ campaign. During March and April 2017, these products will be presented to randomly selected individuals from various localities who actively recycle packaging waste. Launched in 2013 in the localities served by GreenPak Cooperative Society, ‘Irriċikla u Irbaħ ma’ GreenPak’ scheme has rewarded over 4,000 households with products supplied by member companies of the GreenPak Coop Society. Apart from the environmental point of view, in today’s increasingly competitive market, displaying the seal makes good business sense. 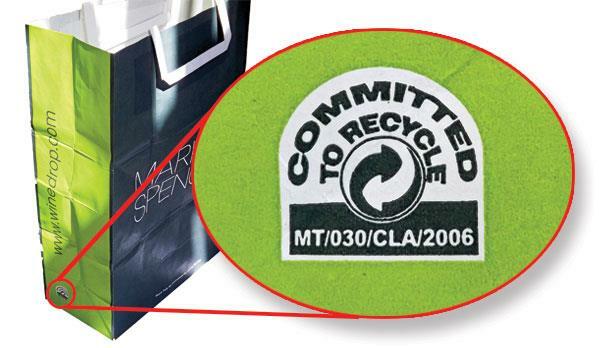 GreenPak encourages businesses to apply for this seal, to prove to their customers and the community that their business is following its obligation to care for the environment and that it is committed to recycle.